Dr Wilkins is a Registered Dietitian with a BSc in Environmental Studies, MSc and PhD in Nutrition and Consumer Economics. She is a Senior Extension Associate at Cornell University, and is currently a visiting scholar with the Discipline of Nutrition and Dietetics at the University of Canberra. 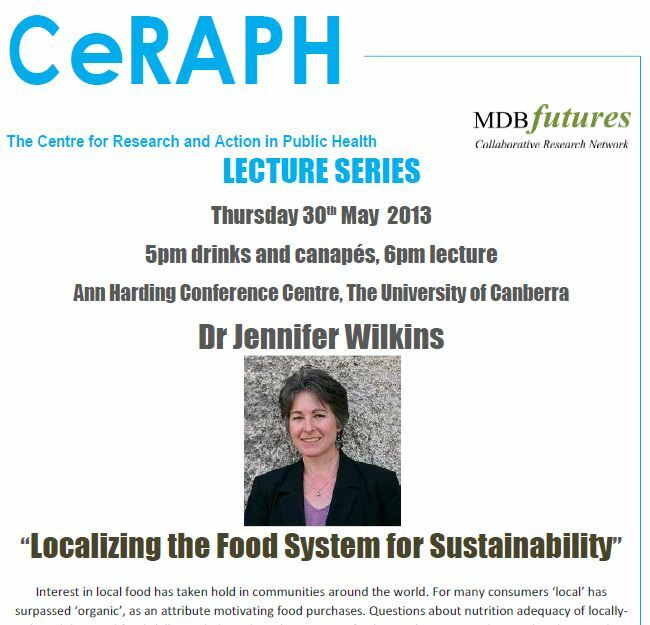 A discussion evening on 30 May with Dr Jennifer Wilikins at the University of Canberra, hosted by the Centre for Research and Action in Public Health.